Ok, reasonable question! VR Escape Rooms are a new take on escape rooms. 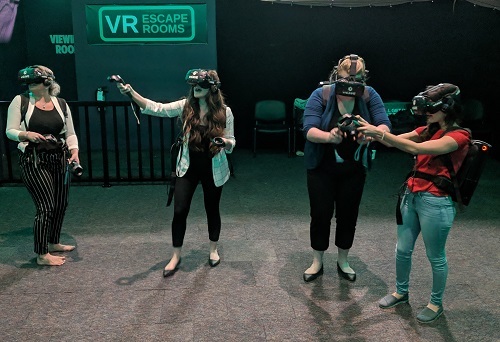 By using the latest in virtual reality technology, you'll be transported (virtually) to amazing and impossible worlds that are just not possible in traditional escape rooms. To "escape" and win the game, you'll need to solve a variety of puzzles and challenges that will lead you to victory. But because this is VR, where anything is possible, the challenges you must solve will blow your mind and test your team work and ingenuity to the limits! This is NOT a video game, or really like anything most people have ever experienced. You will be convinced that you've somehow been transported from Laser City to a different world and will be shocked at the end to discover you were actually walking around an empty room with your friends all along. 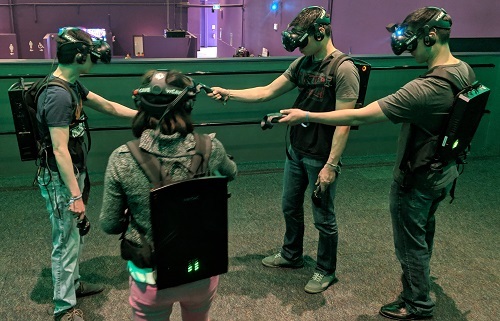 Your team of between 2 and 4 people will be equipped with VR headsets and backpacks. You'll then all be able to walk around the virtual worlds freely and without any wires. You'll be able to see and talk to the other players (although they might look a little different than you remember!) and work with them to escape the room. But time is ticking! 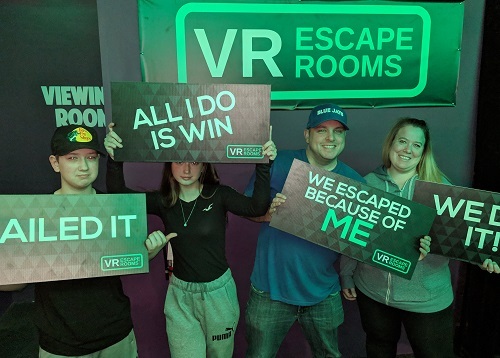 Unlike traditional escape rooms that are limited to each space being one environment, with VR you can choose any of our amazing experiences when you start. 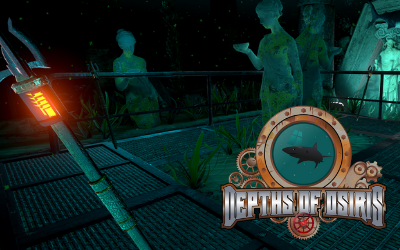 Depths Of Osiris - set deep underwater, you'll need to repair the capsule and find the temple, all before running out of air! Please be here 10-15 minutes before your session starts. We can't extend sessions if you start late. We also can't start unless all your group is here. Almost all glasses can be comfortably worn with the equipment. Massive framed glasses could be a problem. If you are able to, contact lenses will be more comfortable. Tickets are non-refundable and can only be used for the time booked. It's not easy! But it's not at all impossible. You'll need to work together quickly to escape within the 35 minutes. But we believe in you! Not really. Obviously if you're scared of fish, maybe don't do Depths of Osiris. 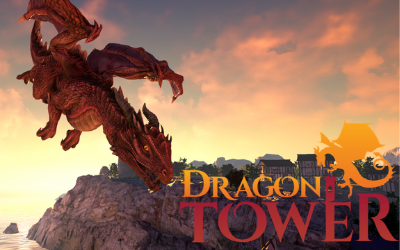 Or if dragons make you pee yourself, Dragon Tower might not be for you. But the intention of the experience isn't to scare you. Do I have to book, or can I just show up? Because of limited space, advanced booking is required. Hit Buy Tickets to purchase your tickets today! I don't play video games, is this for me? Yes. This is not a video game. This is an escape room that uses VR to make it awesome. No video game experience is needed. No. All of the experiences have elements that require at least 2 people. 3 or 4 will make them all more fun! Can I watch people doing it? Kinda, but not really. You'll be able to see them in real life, but that doesn't tell you much, as the players are in a different (virtual) world. If you're here to chaperone a group, and you're never going to do the experience yourself, we can possibly let you watch the in-game experience on a screen. We don't let the public see that as it will give away the solutions to the challenges and puzzles. Can I do this for a Birthday/Corporate Event/Etc? Yes! If it's just 2-4 of you, book a spot online and come on down! If you have a larger group, or want to come outside of regular hours, get in touch and we'll set something up for you. 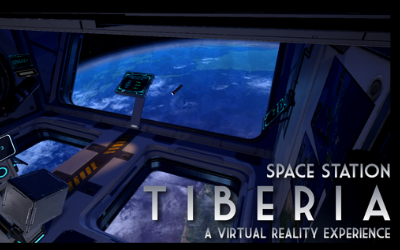 Book Your VR Escape Room Today!